Veteran tech journalist David Spark has just published his new book “Three Feet from Seven Figures: One-on-One Engagement Techniques to Qualify More Leads at Trade Shows." He walks through his top trade show tips in this lively podcast. What are companies doing wrong at trade shows? Hear Jason Seeba, Chief Marketing Technologist from Bloomreach, share his thoughts on how to tackle an increasingly challenging task: how to build out your marketing technology stack. There are more vendors and tools than ever before so it's easy to get lost. 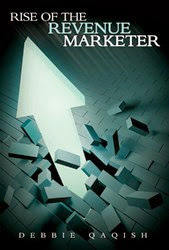 A Marketing Technologist is person who really brings together the engine that drives, marketing and sales and startups. So that means bringing in new technology, it's trying to figure out how to hire the teams that uses technologies to kind of improve their outreach efforts but then also bring them together in a cohesive way so that people can drive revenue. Jason maps out a clear way to think about building out a stack that fits your business needs and capabilities. What does a marketing technologist do? "The beginnings of the marketing stack are really CRM and marketing automation." "When you are the first person in sales and marketing in a company, all you are doing is trying to figure out how to prioritize your day, your week, your month to drive revenue." Getting CRM and CRM adoption is a key factor. Bringing in and setup up the rules for your marketing automation system. If a tool doesn't actually create change and help you drive revenue, it's pretty worthless. Ideally the business rules you write for your marketing automation, for example Marketo, will tie to your CRM - such as Salesforce. Data optimization layer is next. Account-Based Marketing by mapping your universe before they ever consider you. Prioritize people based on personas you create. Then, the SDR, events and demand gen teams can to out and target those people and add value. This formula does NOT include mass emailing, relying on ad clicks. We are talking about focusing on quality over quantity when you are discussing account-based marketing. Think long term. You don't burn your contacts with tricks and hacks. This takes tact and thoughtfulness by adding value at every touch point. People need to look at you as the expert and look at you in a way that's trustworthy. Leadspace uses predictive analytics to target the prospects that look like your best customer. Social, web and structured data come together under the Leadspace platform to deliver best in class enrichment, advanced predictive scoring and confident lead discovery, that's Leadspace. Learn more at Leadspace.com or email me directly at [email protected]. While building an organization to scale, what have you learned? What do you look for in an intern or an early-in-career hire? How do you measure if someone is capable of their position and when they are, ensuring they are working on the right things? An attribute of great managers is the ability to learn from their mistakes. What is something you've learned from your mistakes? How have you built this marketing organization within Apptus? How did you decide which roles to bring in at what time? How do you provide transparency among your team? What do you do to spread knowledge of marketing? 1. What is a day in the life like as VP of Marketing at Apptus? 2. You had a great experience at Marketo – building a stellar reputation for content marketing and marketing automation. What did you learn at Marketo that helps you drive demand for Apptus? 3. In your role at Apptus – you manage corporate marketing, customer marketing and demand gen. How does corporate and customer marketing differ? What’s the most important thing to remember in customer marketing? 4. You frequently write and speak about B2B marketing- what’s the biggest challenge for B2B marketers today? Why? 5. What is the key success factor for B2B marketers? 6. What is your most effective strategy for driving demand generation at Apptus? Little known fact: Maria Pergolino is also a wine expert - more on that perhaps during our next show. The Funnelholic and Co- Founder of Topo, gives us the scoop on really generating demand and shares his content marketing secrets. Craig Rosenberg, is Co-Founder and Chief Analyst at Topo, a research and advisory firm that helps companies grow faster. He is also known for his work as the Founder and Editor of The Funnelholic, a hugely successful sales and marketing blog that is a household name for marketing and sales professions. You can find Craig just about everywhere as he is involved in some of the most insightful and effective content in the market today. Everybody Writes, Your Go-To Guide for Creating Ridiculously Good Content. We love to read anything Ann Handley writes, now she shares how even we can write better. Ann shares secrets to great content in her latest book, Everybody Writes, Your Go-To Guide for Creating Ridiculously Good Content. Ann Handley, Chief Content Officer for MarketingProfs, author of Everybody Writes (September 2014) and co-author of Content Rules: How to Create Killer Blogs, Podcasts, Videos, Ebooks, Webinars (and More) That Engage Customers and Ignite Your Business (Wiley, Late 2010). Ann has a passion for building community, particularly in using new media tools to broaden and build value. Previously, Ann was the co-founder of ClickZ.com, one of the first sources of interactive marketing news and commentary. REVENUE MARKETING is where we need to be. Chief Strategy Officer of +The Pedowitz Group , +Debbie Qaqish shows her passion for education, for revenue marketing in this fast paced, 30 minute discussion. "Because the universities have been so slow to teach these critically important skills, we are seeing companies that are developing their own revenue marketing curriculum. They cannot find the skills. Kids are not coming out of graduate and undergraduate programs with the right skills." Debbie Qaqish is the chief strategy officer and a principal partner at The Pedowitz Group and is responsible for developing and managing client relationships. She is a nationally recognized speaker, #thoughtleader and innovator in the demand generation field, with more than 30 years of experience applying strategy, technology and process to help B2B companies drive revenue growth. Debbie was voted #10 in #SLMA 's 50 Most Influential in Sales Lead Management in 2011. Debbie has been at the forefront of the marketing automation phenomenon, first as a beneficiary, and now as an advocate and expert. She is a frequent speaker and writer on topics related to driving revenue through #demandgeneration techniques,#marketingautomation technologies and the integration of sales and marketing.